For 30 years, we have provided the highest quality care for Victoria’s aged care community. Our philosophy is that all residents continue to live a fulfilling and purposeful life, maintaining their position and role within their family and community. Nestled in the quiet and peaceful streets of Brunswick, Gladstone Park and Sunshine West, our 3 fully accredited aged care homes aim to reflect the surrounding community whilst also embracing every resident’s own needs and wishes. In early 2019, we commenced construction of our 4th facility, in Swan Hill. Under the banner of Hope Aged Care, each home has its own individual name to properly reflect the location and wonderful uniqueness of each facility. In addition to each providing a comfortable and relaxing environment, our facilities at Brunswick and Gladstone Park also have secure dementia wards, with a specialised dementia ‘Outdoor Walkway’. Featuring beautiful soft music to accompany the pictures along the path, these outdoor walkways allow for a relaxing environment and experience for both residents and their families. We specialise in catering to all our resident’s needs, ensuring that comfort and quality are second to none. We aim to create the most comfortable residence for all residents, with the highest quality nursing care available. As part of out commitment to quality care, our staff speak a variety of languages including Greek, Italian, Arabic, Chinese and English. Regular hairdressing, music therapy, movie nights and physiotherapy/massage programs are also extensively offered to all residents. Consulting rooms are available for visiting doctors and physiotherapists as well as other allied health services. The primary outcome of caring for all our residents is to create an environment that improves their social, emotional and spiritual well-being. We have always believed that the environment we create for an individual is overwhelmingly the most important aspect of their care. 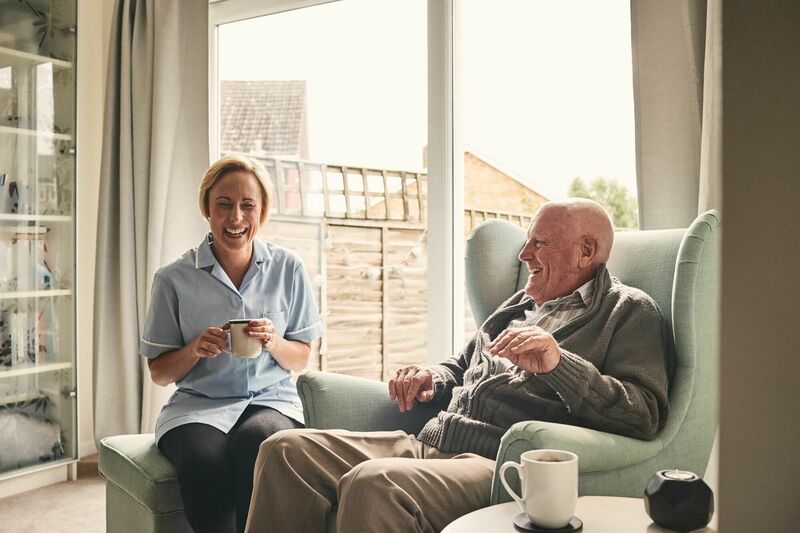 In addition to our Outdoor Walkways, we actively promote activates such as music/dancing, physiotherapy/massage, games, aromatherapy, gardening, and cooking; help to foster a calming, peaceful and supportive environment for residents with dementia. Think about what you are about to do and consider the best way to do it. Plan and explain clearly who you are, what you want to do, and why you want to do it. Keep explanations simple. The person who takes their cure from you will mirror your relaxed and positive language and tone of voice. Always be calm. Give people time to respond to a question or activity; and understand that you may need to repeat your request a number of times. Activity that involves invasion of personal space increases risk of assault and aggression. Every time you provide personal care you are invading their space. Always provide care from the side not from the front. This way, residents will feel less pressured or hurried. Reminisce about pleasant events from the past as you provide care. Ask them questions about their previous work experience, family and pastimes. Be aware of the noise in the environment. Turn off the radio and TV, as this can agitate people who are already upset or distressed. Consider gentle/classical music instead.